I'm having a lot of fun with Torchlight at the moment but I'm just curious to what the 'must have' mods currently are. I'd really like a mod that will increase my bag space, does anyone know of one? The max potion size mod. It's a life saver. Allows stacks of 200 potions and scrolls. As for other mods, I like weapon mods (that aren't broken) because who doesn't want more weapons? Respec mod is also nice if now you have a better idea of how you want your character to play. Pretty much other than that, most the mods I use affect the Shadow Vault. Just look through the sticky on the Mod Showcase forum and find what you see interesting. I would suggest using Torchleech to manage the mods. It doesn't have the minor mods but makes adding and updating most of the mods very easy. First off, if you're looking at mods, go get Torchleech. Not essential, since teh mods it refers to are all in the modding forum, but makes it one **** of a lot easier to see what's available. Handy hint: if you like the look of a mod, use the in-application browser to find the forum post for the mod and check the version level - Torchleech, while very very useful, is not omnipotent and can sometimes be a little behind in its versioning. Necromancy - makes skeleton summons (from scroll spells) persistant, thus saving you from recasting every thirty seconds or so. Reduces the amount summoned maximum from 5 to 3, but well worth the tradeoff if you're going to use them. Merchant Pack - Adds several new merchants to town and separates item types to specific merchants. For example, a gem seller that only sells gems, fish seller, converts the general store to a potions only merchant. Worth it for both the added colour in town, and the fact that since each merchant has an entire inventory space for one type of item, they often sell more than the original merchants would have done. OccMod and ToyMod (there's a pack for both of these in one) - I play a summoner alchemist at the moment, and these two enhance the game for me. OccMod converts the imp summons to a little four legged cyclops ranged summon, and ToyMod converts the alchemical golem into (at max level) four smaller and less powerful golems. Personally I think these two changes add to the game for me. Final point to make; if you don't like a mod when you've installed it, always remember, the mods are simple to remove (in most cases anyway) and you can always return to the vanilla game. Just relisted the mods mentioned above with correct name and weblinks. Hope that help other players to find them. If you use TLeech, just copy the list of names into the fuzzy search. but at first get torchleech and then its very easy to see what mods you want.. Extra room is priceless. Get New Stash to get 3 more chests where to put your preciousss! Here is my full list of mods (no links, sorry). I can't remember the exact name of it, but there's a mod that increases all buff durations for Destroyer skills (Frost Shield for instance). Post installing this mod this class is actually quite enjoyable, in my opinon. My only must have that hasn't already been listed here is the shaped gems mod. I've got a long list of favourites, you'll have to search them out for yourself though or use TorchLeech, as this is just too many to link to. I'm providing these named as they are in my mods folder (easier). This replaces Nether Imps with mechanical ranged counterparts, and turns the Alchemical Golem into a tanking force to be reckoned with. 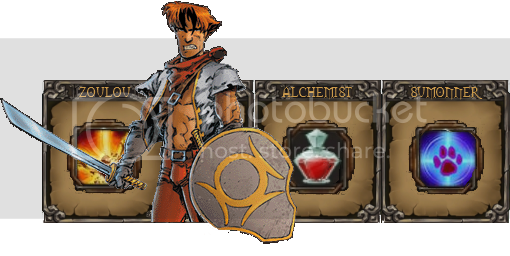 Absolutely essential for any tinkerer Alchemist in my opinion. This is just a bit of fun, and a way to see whether you can crash your game by having your screen flooded with mods, and a fantastic way to test out how immortal you are, once you're at end-game. Ever felt kicked in the teeth when you sold a unique and the merchant marked it up about 10,000 times? Better Sale Prices gives you more realistic sale values for valuable items, based on your level and the item's qualities. It's no fun once you're level 20 and the only map you can buy is 20-??? from Triya, that could lead you goodness knows where, so this mod adds more control, and new maps from 20 onward. AKA: Healthy Pet. This is nice, your pet doesn't instantly run off the moment it gets smacked around. If you're playing on Hard or Very Hard, it can still flee, but it's not as completely useless (sans fish). This is brilliant stuff, it adds new content in both the Torchlight Mines (story dungeon) and in the Shadow Vault, it doess this by adding new chunks to the game. It also adds a new dungeon. Lots of puzzles, here, too! More of the same, like the above, but less puzzle orientated, still brilliant stuff, though. AKA: Mine Booster Pack. More of the same for the mine, and again, very nicely done. More content never hurts, and all of this is so very nicely designed. This chappy gives you quests involving the Shadow Vault, and adds all sorts of new content. Therefore, if you've completed the main storyline, in my opinion he comes highly recommended! And yet more content, but I honestly recommend, every bit of it adds to the game so much. This basically removes the need to identify items, it also removes the identify scroll to boot. Quite handy, since I never saw identifying as anything other than an unnecessary hassle. AKA: Gold-sharing service. This allows you to purchase a scroll, for 4,000, and that scroll takes you to a vault block which has 4,000 gold in it. You can use this to safely store your masses of gold, or you can use it to share gold via the stash. The timers on the Destroer's skills have been juggled around a bit to make the game flow more smoothly for that class, I've rather enjoyed it with my new Destroyer. AKA: Of the Angler items. These have items drop occasionally which offer the boon of better fishing luck to the player. A fix for the Homunculus Set error, so that the OGRE log doesn't keep screaming about it. AKA: Avenue's Arctic Wolf. Normally I'd have my Pet Transmogrifications Potions mod installed instead, but I resign myself and I admit defeat, as on even Hard one quite occasionally has to use fish, and until the bug is fixed with permanent fish, I can't really use my Transmogrification mod and fish. I look forward to seeing that fixed so I can use my mod again, until then... I'll just stick with a Wolf as a simple DOG.DAT replacement. :< As a Destroyer, I don't have hordes of pets protecting my dog. Please fix that fish bug, Ruuuunic! Anyway, if you're playing a pet class with lots of summons, you can replace this entry with Pet Transmogrification Potions. This gives enemies different weapons as they spawn, so once doesn't end up seeing a horde of 10 skeletons all wielding the exact same sword. Looks great, it does. This is genius. Take five small fish to the transmuter and get a bigger fish as the result! Works all the way up to permanent fishes, and is therefore really quite, quite handy. A transmutation recipe. Mysterious Emberstones drop, and you can use one such item with a unique item to get an entirely new unique item! This adds the ability to transmute scrolls, and a bunch of other things! This makes the map overlay brighter, just as it says on the tin. If you have trouble seeing it and find that you have to squint, try it out! It really does help. This is rather nice, it takes the bowl icon and replaces it with a paw, which makes much more sense if one's pet is no longer a simple dog/cat. AKA: Brandonn's Gem Icon Mod. This adds roman numerals to gems, it makes them bigger, clearer, and more visually diverse, the end result is easier gem management. AKA: DarNified Minimap. This makes the circular minimap square, which makes much more sense, really. Gives it a nice border too which fits with the rest of the UI. A bloke wot sells fish! If you have a lot of map-related mods (like me), then Triya doesn't really carry enough maps for one to see them all, Gaspar is dedicated to map selling, however. AKA: Picardo the Healer. This guy will provide healing while in town for free! Just a tiny mod of my own which removes maps from Triya's list of things to sell. I love long mod favourite lists. Let me help you out a bit with links and alternative names in TLeech. As always, just copy this list in the fuzzy search and you see them within a click. Info: The original "Healthy Pet" mod doesn't work. [Transmuting] Mysterious Emberstones - not available via TLeech at the moment. [UI] Pet Bowl Icon Replacer - Paw Icon - not available via TLeech at the moment. [Vendor] Medical Golem - not available via TLeech at the moment. [Vendor] Triya's Inventory Refocused - not available via TLeech at the moment. Picardo the Healer (Medical Golem) sounds interesting, but is there a way to get it to charge for services like every other town merchant or service provider does? Hmm, come to think of it, I can't remember if the "destroy gems in items" or "destroy items to recover gems" guys charge money for their services. I guess they keep the wreckage left over, there's got to be a scrap metal and ember dust market. Wow. I thought the mods were just for cheating. But most of these sound really great, especially where there are new levels and maps added to the game. This Torchleech thing is something I need to install before I can use the mods listed above? Since I built that list, there have been a few new additions. Underground Temple, Aegis volume 3, and Seromsoeg's Maze, each of which adds new chunks/dungeons to explore. Those are by gorogorosama and Geosmores, whose content creations I've come to really quite enjoy, I always look forward to seeing something released by those two. I also created a mod of my own (which can be found here on the forum) called Larger Comparison Tooltips. The only area where my old, failing sight had problems with the game was the comparison tooltips, sometimes the numbers lead to eyestrain, so I wanted to fix that. As for whether to use Torchleech or not, it really depends on how technically minded you are. Installing mods is simple, you just have to extract them to %AppData%\runic games\torchlight\mods, but you have to manually delete them from there, and every time you do you'll need to clear the cache (instructions are around and about the forum). If you don't want to put up with the hassle, just use Torchleech as it automates everything, I had a bit of a poke around in it and it really is a nice little program. I can't believe this is still so high on google search results. Just posting some updated info around the web. Torchleech is long since gone, and those links for RGF are definitely outdated. You can search in the RGf mods database, or use our new mod manager (ModDrop) to install the mods for you.